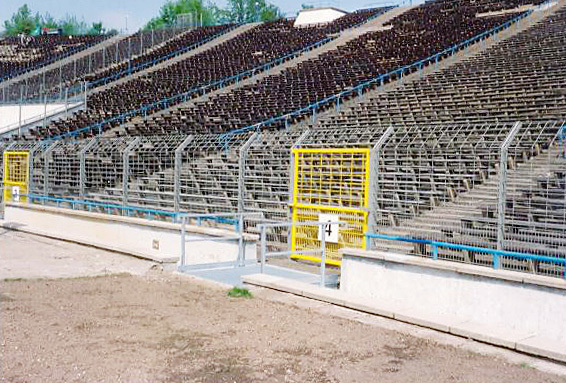 Stadium security fence Security in the stadium. Order is primarily established in our major sports facilities by a good separation between the athletes and the spectators. 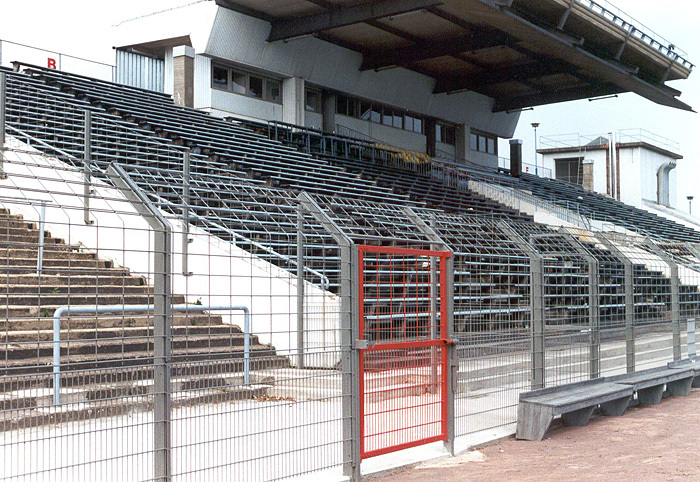 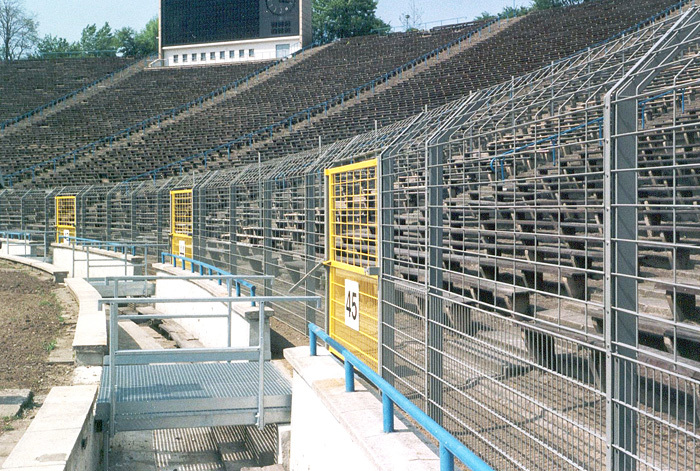 More than four decades ago, we built the first suitable stadium security fence, which we have continued to develop in more than 40 stadiums. 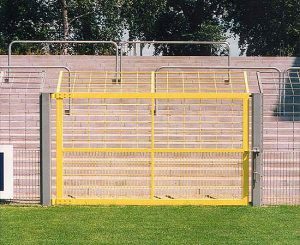 We can therefore present you with a range of well-engineered boundary aids, which can already be helpful during your planning stage. 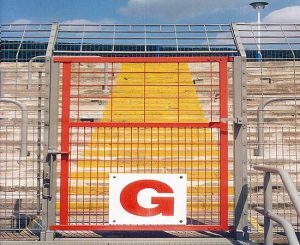 Each screw engages through the grilles, whereby the grille will not loosen from the post under load. 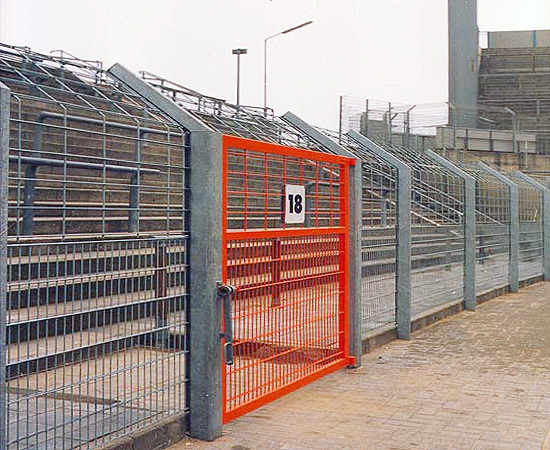 The grilles are strongly spot-welded with double-drawn, 8 mm thick steel wires. They have an effective length of 2,500 mm. 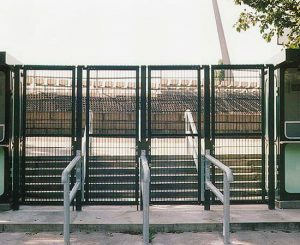 The height of the grilles depends on your needs. 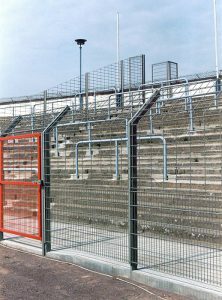 The mesh is tight at the bottom and easily transparent at the top up to 150 x 300 mm. 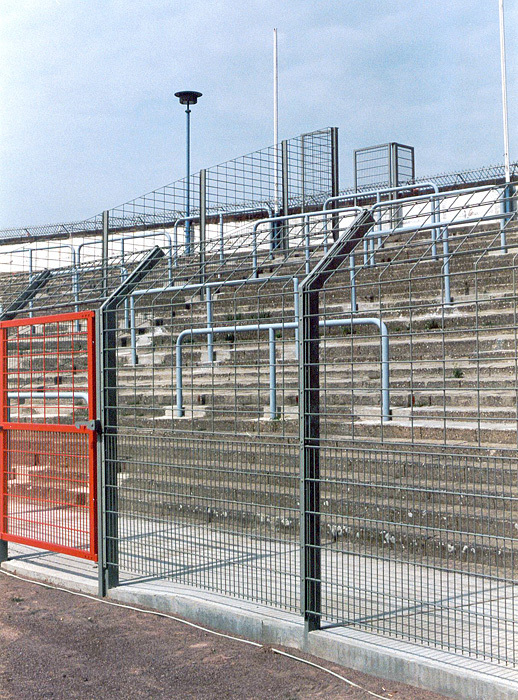 We also draw on the LEGI R fence system here to maintain adequate separation. 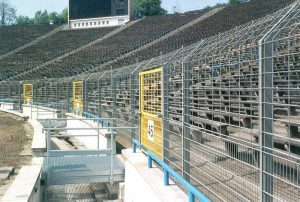 According to the gradient, the grilles are used horizontally and the upper and lower edges cut and welded with end wires. 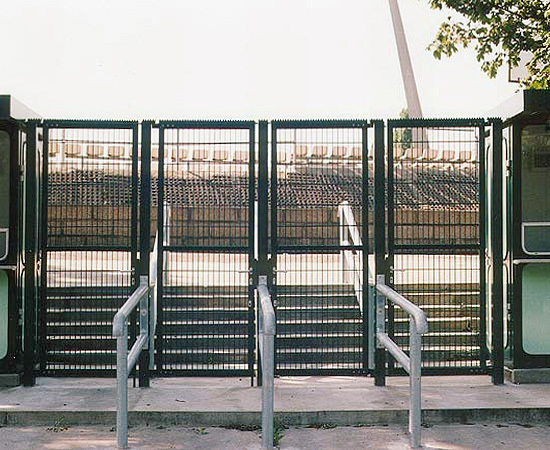 However, the grilles can also be installed perpendicular to the gradient. 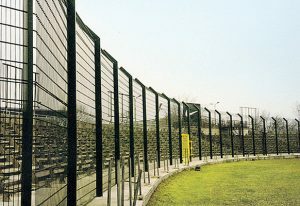 The mesh and thickness are adjusted to the requirements. 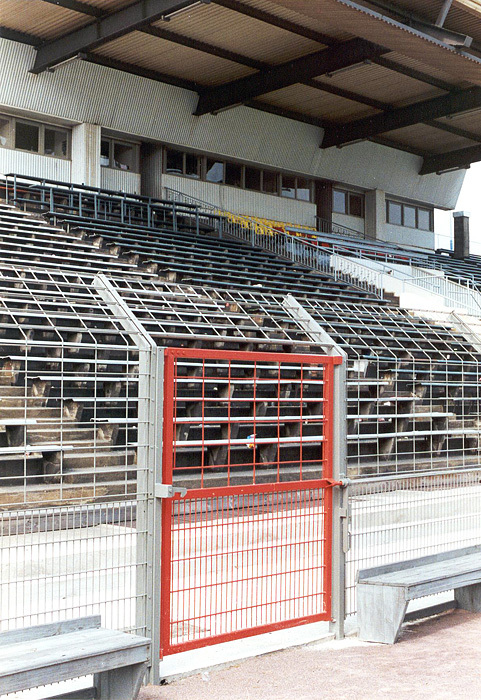 In addition to the LEGI hinged gates with a particular stability for external fencing or sector separation, we have also engineered the stadium security gate for bordering the field of play in the event that the spectator sectors must make their way onto the field of play due to accidents, panic situations, etc.. The stadium security gates, normally with one door, have a special lock that can even be opened under extreme pressure against the gate and therefore against the lock. 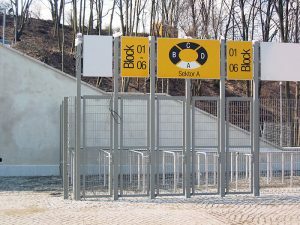 The opening may be actuated from the side of the field of play manually or electrically with the mains supply or battery supply, by cable or remotely. 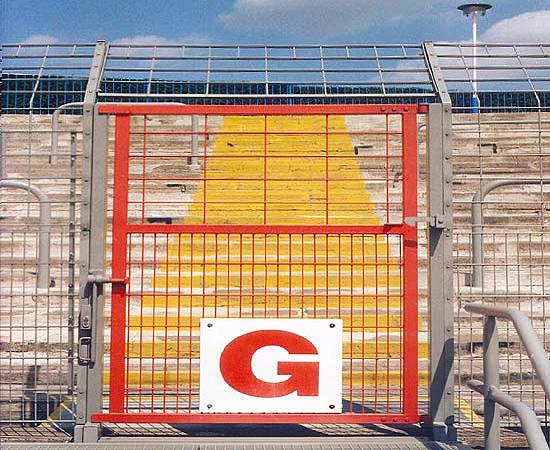 We provide additional RAL colours upon request. 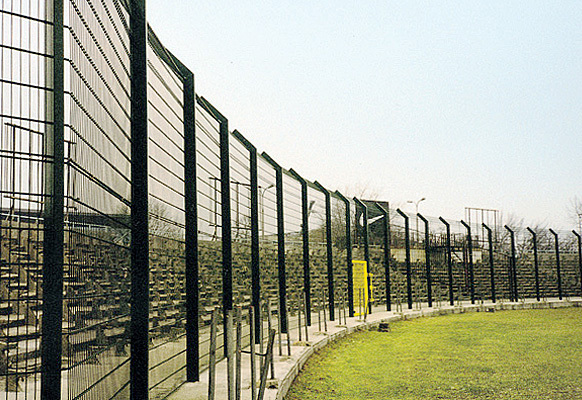 Find the right grilles for your LEGI fence system. Make your selection from our extensive range of gate systems.